Buying your first car – or any car – is a thrill for any motor enthusiast. There’s nothing better than the smell of fresh leather, burning fuel and the purr of the engine. 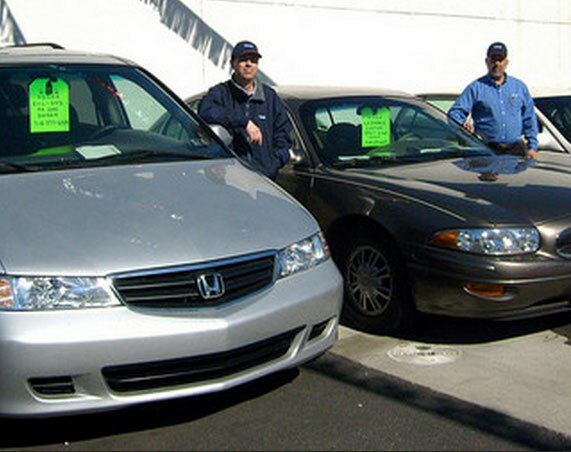 Getting your hand on a used car is a ticket to freedom. It opens up the road and lets you explore in style. But, if you’re not careful, you could make a big mistake. We spoke to car buyers across the country and asked them about the biggest mistakes they made. Today we’re going to let you in on the secrets we uncovered. Impulse shopping is great. But not at the car dealership! Before you even think about going near the cars, get deep into some research. Make a list of the cars that best suit your needs. Do you need city practicality or motorway comfort? Are you interested in good mileage or more bothered about power and speed? Once you’ve narrowed it down, find the average price for each of them. You need to know how to spot a good deal. More importantly, you need to know when you’re overpaying! Don’t rush into anything. Buying and owning a car is one of the biggest drains on your finances. When it comes to buying the car, set yourself a reasonable limit and stick to it. Remember to take into account any optional extras you want and include additional dealer fees. Build a budget based on the amount of petrol you anticipate using, the road tax and insurance. Budget for the monthly repayments and any interest that you’ll incur. Second hand cars are a different breed to new models. Although they may look clean and healthy, they always have a past. It’s your job to explore that and know what you’re getting. Demand a look at the full service history and get a sense of the maintenance work that has been done. Do a thorough check around the car for rust, signs of damage and leaks. Check the fluids and the engine and look for signs of trouble. It’s really important that you test drive any car that you intend to buy. Some dealers like Hunters Land Rover in Derby now offer overnight test drives. If this is available to you, take it! Only when you get behind the wheel do you truly get a feel for the vehicle. Does it handle well? Can it handle tough braking and does it ride comfortably at high speeds? All car purchases are lead by your heart, to some extent. You grow attached to certain cars because you love them. But, don’t let this cloud your judgement! Balance your love for the car with the facts and figures. Now that you’ve unlocked the secrets to getting a good deal, you’re ready to buy your car! Good luck!